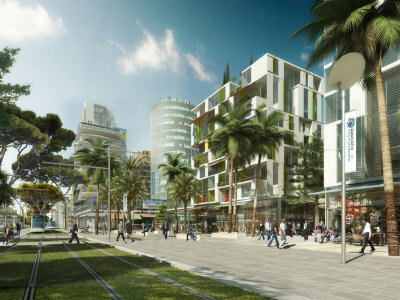 First stone of the Plaine du Var Ecocampus, IMREDD is part of a territory planning strategy that contributes to the development of a dynamic modern university, focused on excellence, in connection with the economy of tomorrow. The aim is to give students an ideal environment to develop their future career by developing an innovative collaboration with industries and startups. The Ecocampus is slowly emerging in the heart of the Éco-Vallée. 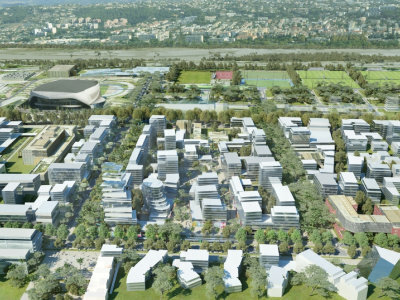 Ultimately, the teaching and research activities of the university will occupy a nearly 50,000 m² campus and the CCI learning campus will be established on 20,000 m² . 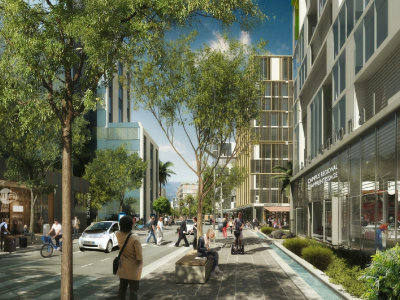 The centralization of the university and CCI facilities will enable the technology park to assert itself and the buildings with a strong visual identity will make the university district an emblematic place of the city. 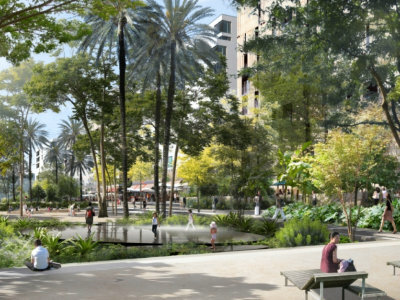 This new campus will host more than 5,000 students as well as many teachers and researchers, which will promote development and boost local urban life. 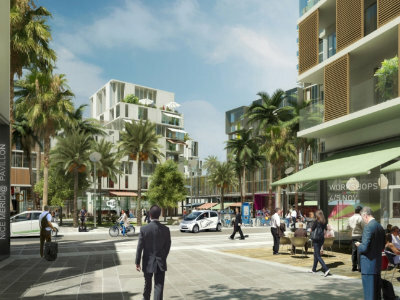 In Nice Meridia, the City of Nice and the Nice Côte d’Azur Metropolis, with their institutional and private partners, create all the conditions to develop a complete ecosystem that promotes interactions, exchanges and mutual enrichment between training centers, companies with their R&D centers and inhabitants. Dedicated to technological activities in the fields of green technologies and the city of tomorrow, Nice Meridia is destined to become one of the engines of innovation and economic development of the territory of the Eco-Vallée. At the start of 2019 academic year, IMREDD will set up in “an exemplary building, precursor of the conceptions and technologies of the future”. 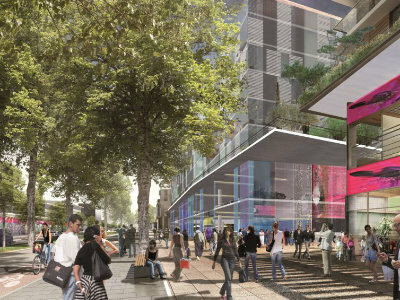 Located at the corner of the Cours de l’université and the rue du Canal d’Amenée, this 5000 m2 building, centered on a technological platform and a learning center, will be exemplary in terms of energy and the environment. 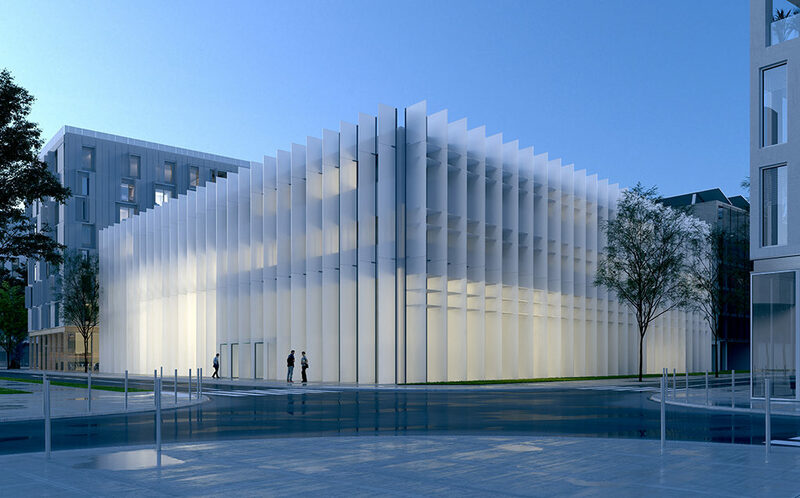 The Barani workshop has designed a rectangular building whose facades clad in large opalescent glass fixed blades provide transparency to give real readability on the outside to research and training activities. This operation, financed under the € 21 million state-region plan contract, is an extension of The Crown office operation, dedicated to innovation, startups and large companies.